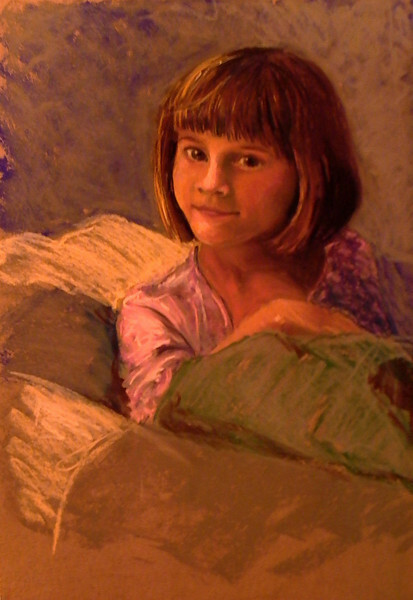 The pastel painting was done of Amber Swann, the daughter of Christine Swann. Christine is a premier pastel painter in the Pittsburgh area who not only does commissioned portraits, but also teaches at local art clubs. It was in one of her classes that this portrait was created.